Massey University’s Wildbase Hospital has moved into new premises 10 times larger than the previous space at the University's Manawatū campus. Shell New Zealand chairman Rob Jager officially opened the new building today at a ceremony attended by Massey's new Vice-Chancellor Professor Jan Thomas, Veterinary Teaching Hospital staff and supporters of Wildbase. Professor Thomas, a veterinary pathologist, who joined Massey this week as its sixth Vice-Chancellor says protecting and better understanding of New Zealand’s unique native wildlife is an example of the exceptional and distinctive learning experience Massey offers and proof that it is an international leader in one of its key areas of specialisation. 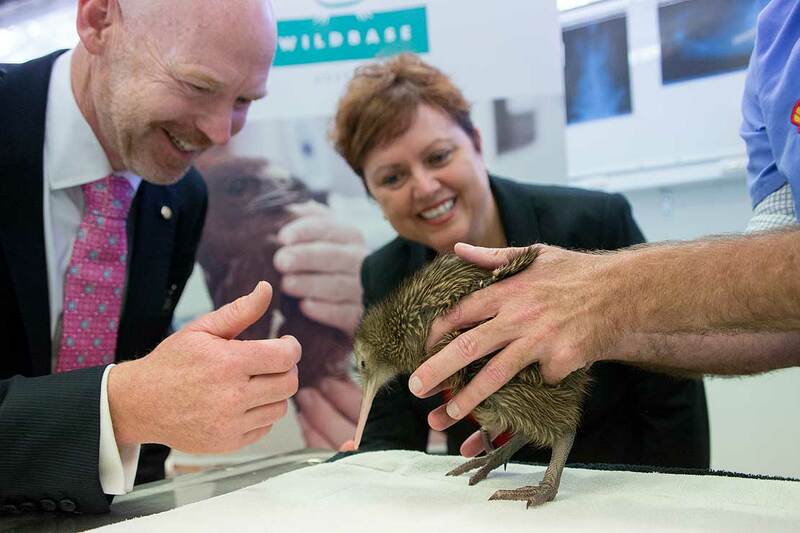 Wildbase Hospital is New Zealand's only dedicated wildlife treatment facility, providing medical, surgical and rehabilitation care to hundreds of sick and injured native animals each year. It is also a respected research and teaching institution. For the past 15 years Wildbase has operated from a 25 square metre facility consisting of a basic operating theatre and two small recovery/holding rooms. When it began in 2001 the space was adequate for the 50 birds treated annually, but with patient numbers rising to 327 last year a new facility was desperately needed. Construction began in June 2015 and was completed last month. The 250 square metre hospital space includes an intensive care unit, wards, a surgical suite, quarantine rooms, treatment spaces, and a display ward in front of the building where people will be able to view wildlife through viewing portals. The majority of the ground floor area is dedicated to the hospital, but this is just one part of a much larger veterinary complex upgrade. The other two levels include a new main entrance for the Institute of Veterinary, Animal and Biomedical Sciences, offices for staff, common rooms and other administration facilities. The total cost of the three-storey building was $9 million. Wildbase director Professor Brett Gartrell says staff made do with what they had in the previous space. “It was full of cramped areas, where we would struggle to provide space for surgery, hospitalisation, food preparation and storage for wild species with widely varying requirements. “For instance, the old operating area had to double as a food storage and preparation area. The new surgical theatre, on the other hand, will be solely devoted to clean surgery, greatly reducing the risk of infection to endangered patients, and with cameras that allow students to watch surgery more closely. 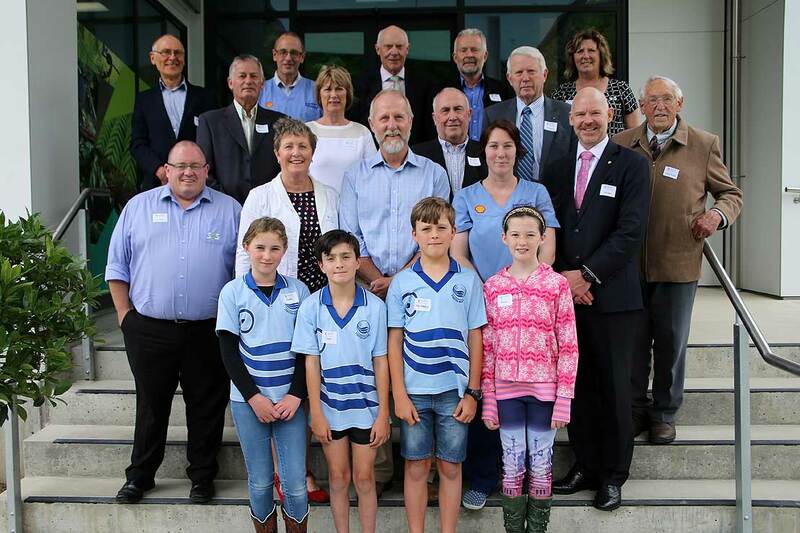 Wildbase relies on the support of sponsors and philanthropic funders through the Massey University Foundation, with Shell New Zealand making a significant contribution to the hospital build and an annual contribution towards operational expenses every year. Last year donations from the public and the work of the primary schools involved in the education programme raised approximately 10 per cent of operational expenses. The remaining operational expenses and salaries for staff come from the commercial activities of the Wildbase Research Centre. Massey University contributes the salaries for one academic staff member, two masters’ scholarships and one full-time wildlife technician. Conservation partner Provet, which contributes to operating expenses, also supported the expansion. As well as donations from the Central Energy Trust, the Eastern Central Communities Trust, the Lottery Grants Board, Craig Shepherd and Julie Sammut, David and Vicki Stewart and Kent Dietemeyer. MP Ian Mckelvie gave a speech on behalf of the Minister of Conservation Maggie Barry, who was unable to attend due to a flight delay. Last year Wildbase cared for 327 native animals, including 265 wild native animals, 14 young kiwi as part of Operation Nest Egg and 48 captive native animals, including those held at zoos and captive breeding programmes. Patients include rare and endangered native birds, reptiles and mammals from all over New Zealand, including the kiwi, takahē, morepork, geckos, bats and many more.